IT’S BEEN A CRAZY SUMMER, BUT THINGS ARE SLOWING DOWN A BIT. II HAVE 2 TELL U HOW MUCH THE SPEECH PROGRAM, SENTENCE SHAPER, IS HELPING ME, EVEN THOUGH THE SUMMER HAS BEEN TOO CRAZY FOR ME 2 USE IT! WHAT IT HAS TAUGHT ME IS THAT MY WORDS RUN TOGETHER, MAKING ME SOUND LIKE THE TEACHER ON CHARLIE BROWN! BUT IF I SAY THE WORDS SLOWLY & SEPERATELY, LIKE I DO FOR SENTENCE SHAPER, I MAKE SENSE! SOPH: HI! HOW ARE U? SOPH: WHAT WAS THE 1ST LETTER? SOPH: OH! PIANO! SAY IT AGAIN? THEN SOPH ANSWERED MY QUESTION. AT THE END OF MAY, I STARTED HAVING “NO SIGNING DAYS”, & I CAN ONLY TALK FOR 6 HOURS DURING A DAY/TIME THAT I PICK. I HAVE QUITE A BIT OF ANXIETY, SO I HAVE HAD A TOUGH TIME, BUT OCCASSIONALLY, I AM “ANXIETY-FREE” & HAVE EMPLOYED THIS SAME TECHNIQUE WITH MY OTHER 2 KIDS, & HUSBAND. IT WORKS EVERYTIME! WHEN I WAS GIVEN THE ASSIGNMENT 2 TEACH THE YOUNG WOMEN (YW), I HAD NO CLUE HOW I’D DO IT—I COULDN’T TALK & I COULD BARELY MOVE, BUT IT WAS MADE CLEAR 2 ME THAT THIS WAS AN ASSIGNMENT FROM THE LORD. & I HAD THE FAITH THAT GOD WOULD FIND A WAY TO MAKE IT WORK….& HE DID! SINCE I WAS A TEACHER PRIOR 2 MY STROKE, & SINCE AM “HYPER-ORGANIZED,” I HAVE A VERY DETAILED, COLOR-CODED LESON PLAN. (WHAT THE TRANSLATOR SAYS/DOES IS 1 COLOR, WHAT I SIGN IS ANOTHER COLOR, ETC.) I TYPE OUT WHAT I PLAN TO SAY, BUT IT CAN CHANGE, SO THE GIRL’S REALLY DO READ MY SIGN LANGUAGE! MY DAUGHTER, JESS, TURNED 12 IN FEB. SHE READS MY ASL FAST & CAN HELP IF THERE IS THE NEED, & SHE IS A “BACK-UP TRANSLATOR,” BUT SHE HAS ONLY BEEN NEEDED ONCE AS MY TRANSLATOR! I ABSOLUTELY LOVE THIS ASSIGNMENT, & I AM LUCKY 2 WORK WITH THE GIRLS 1-ON-1, SO I GET 2 KNOW THEM! I AM SO GLAD THAT I ACCEPTTED THE ASSIGNMENT, EVEN THOUGH I HAD NO UNDERSTANDING OF HOW I WOULD ACCOMPLISH IT! ← How did you come to accept the new you, and how long did it take? Jenny, Nicole from the Primusic group here. I had missed reading your article in the Ensign in 2008 so I’m so thankful you posted it here, and it’s inspiring to read about your work with the Young Women. I love how you have managed to continue to inspire others even when life threw you a huge curve ball. Thank you. 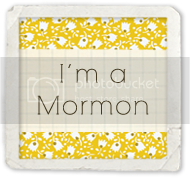 HI JEN – LOVE THIS POST – SOPH IS AMAZING AND SO GLAD U SHARED YOUR YW EXPERIENCE. SO COOL!